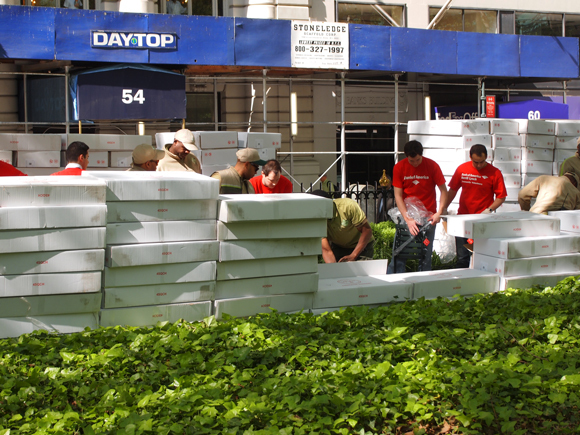 Bryant Park Blog: Unpack, Stamp, Distribute. Repeat 790 Times. Unpack, Stamp, Distribute. Repeat 790 Times. Every spring we replenish our trusty fleet of bistro chairs and tables with brand new pieces from Fermob, an outdoor furniture company based in France. 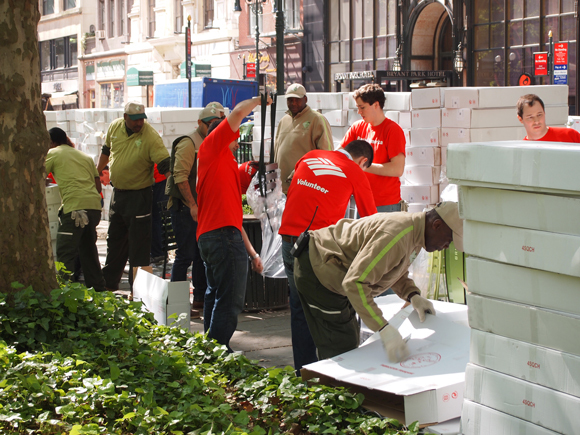 It's typically all hands on deck for the Bryant Park sanitation and hospitality teams when the shipping container arrives and mountains of boxes need to be staged and unpacked in the park. 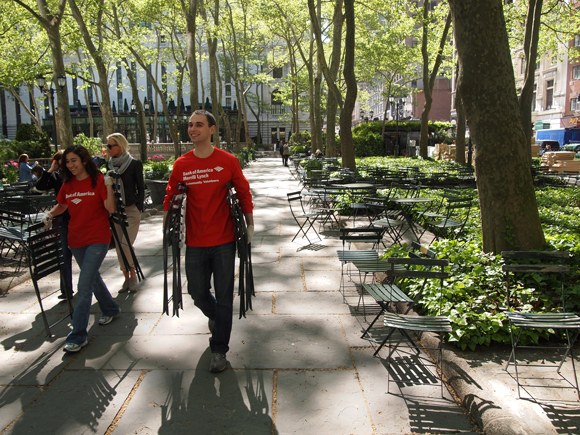 This year, we were happy to have the help of 16 volunteers from Bank of America, our neighbor at the northwest corner of the park and presenting sponsor of the HBO Bryant Park Summer Film Festival. Although their usual daily duties involve industrial investment banking, the volunteers reported to the park on Monday morning and helped our team unpack and distribute the new furniture in record time. A little known Bryant Park furniture fact: after being unpacked, each chair is hand-stamped by our staff with the letters "BPC". 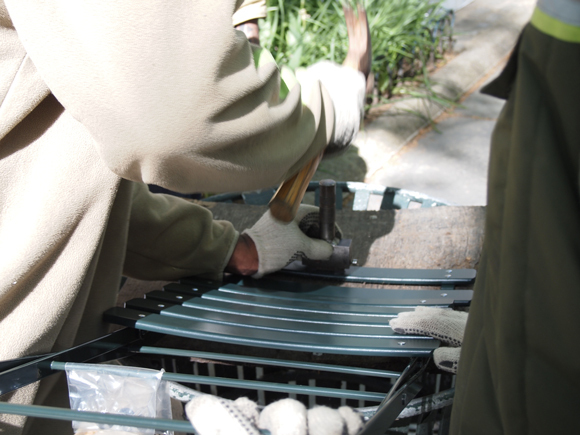 After getting stamped, the chairs are distributed across the six acres of the park. We definitely appreciated the volunteers help with the legwork...we hope they appreciated the workout! Monday's delivery included 790 chairs and 200 tables to supplement the thousands already in the park, plus 12 kids chairs and 3 tables for the Children's Reading Room and carousel area. With the dedicated help, all our signature chairs were unpacked within three hours and the entire job was complete before the end of the day.